Â OpenÂ ScreenÂ RecorderÂ app. 3. Go to "cloud" option. 4. 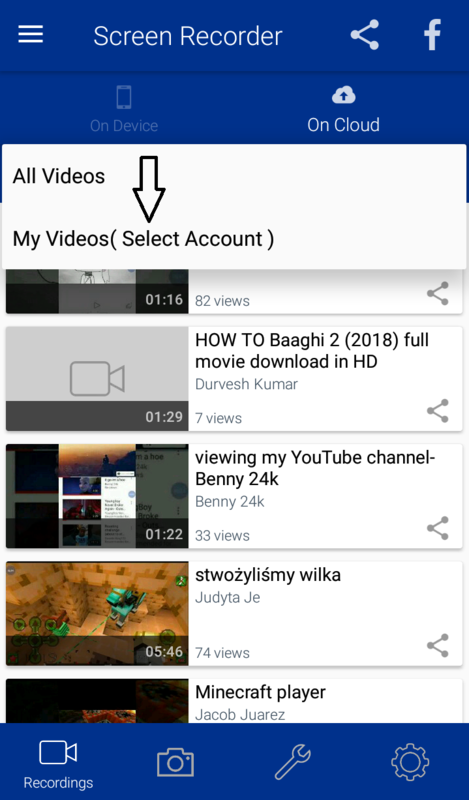 Click on drop-down menu and select "my videos". 5. 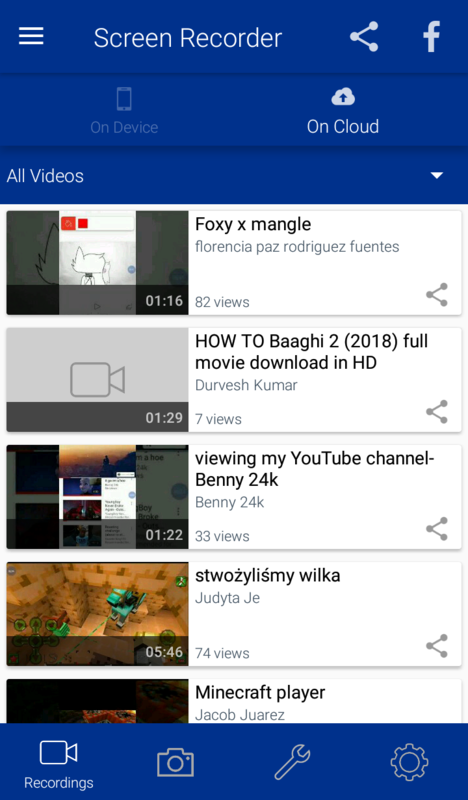 You will get your videos saved on cloud.